Like many other people, testers wonder whether Artificial Intelligence threatens their existence. 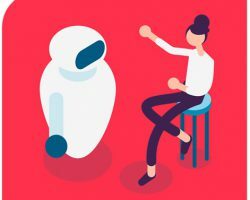 Do we really need to fear that AI will take over all work of testers? Intelligent machines will change our lives in the near and far future. But for the next decade or two Artificial Intelligence will remain to be “Artificial Narrow Intelligence” which means that it is good at performing one specific task. Such a task is often performed very well. Sometimes even better than a human could, for instance playing the game of Go. But a tester performs a wide range of different tasks. This means that an AI needs to have “General Artificial Intelligence” to be able to perform all tasks a human tester is able to do. We don’t expect this to happen in the near future. But AI will certainly be able to extend the capabilities of testers. 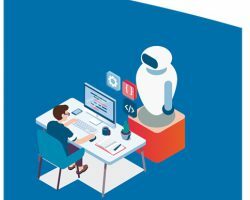 In this blog post, we explore which tasks of a tester are likely to be taken over by AI and which tasks will remain human for the foreseeable future. The challenge today is that the increase of complexity, in systems and the system landscape, demands more testing. At the same time as we have more frequent deliveries, the testing needs to go faster. Therefore, we need to be more efficient in testing and that means we need to have more support from better tools. Business intelligence has been used for a long time in a lot of areas, but not so much in testing. Now is the time we need business intelligence support for our testing. We should choose to use AI in areas in which it’s better than humans, and as testers remain doing what we as humans are better at. This way, we will achieve more efficient testing. Using AI and cognitive QA in this way will empower testers and give us time to do what we’re best at. So, if we want to use AI for tasks at which it can excel, what tasks are that? Computers are often good at performing repetitive tasks where it’s clear what to do and what results to expect, because they don’t get bored. However, most of those tasks do not require AI. However, analyzing a large amount of data is something computers are good at, and with machine learning capabilities, it can complement the analysis done by humans who can’t go through the same amount of data. Humans, on the other hand, are better at understanding other humans with all the nuances in the communication that an AI still has a hard time to grasp. We’re also better at adapting our communication depending on the cues from the persons listening. Therefore, it will probably take a long time before an AI can understand all subjective knowledge and communicate to all stakeholders. to communicate to stakeholders and team members. Understanding models, specifications and other written information is an example of a way to understand the test objects, but a tester also works with talking to people and monitoring activities to gain this understanding. This still needs to be done by testers even though some part of the understanding process can be supported by AI. Creating a test plan and a test report, monitoring the progress and results of testing, and taking corrective actions whenever necessary, are examples of the organizing activities. These are activities that currently are still too hard for computers to do, even with the help of AI. Designing test cases, building test data, executing tests and evaluating the test results are examples of the performing activities. Here we see the most tools emerging. However, evaluating the test results still mostly needs to be done by humans even though some initial analysis can be done by AI. Communicating with team members and stakeholders about the quality and possible corrective actions is something that we as testers still need to do, but with the use of smart-dashboarding tools that are powered by AI. An example of this is Sogeti’s Cognitive QA proposition. Today we see many “AI-powered test tools”. For as far as we have seen all these tools support, or take over, the task of executing tests. It’s the next step in test automation. This will enable testers to execute tests more often and faster. But the other tasks of the tester remain. In the near future, we expect that the test case design activities will also be supported by intelligent tools. 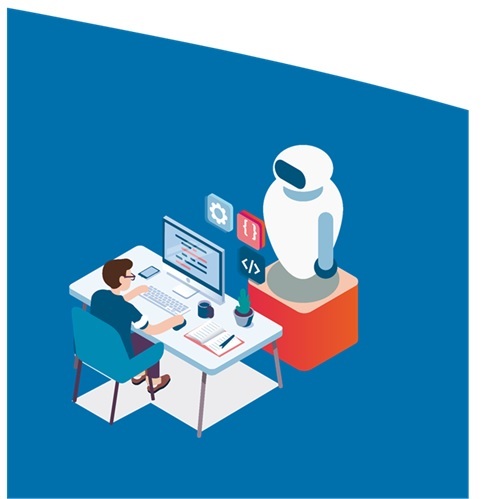 But it will take much longer before intelligent machines will be able to take over the complex testing tasks such as the understanding of the test object, the evaluation of test results, the organization of testing or the communication. So, our expectation is that at least for the next decade the testers work will definitely change but the tester will not be replaced. Instead, AI will empower us as testers so we’re able to do work more effectively. And thus, will make our work less boring, more challenging and fun! This blog was written by Eva Holmquist (Sogeti Sweden) and Rik Marselis (Sogeti Netherlands). Eva Holmquist is a senior test specialist at Sogeti. She has worked with activities from test planning to execution of tests. She has also worked with Test Process Improvement and Test Education. She is the author of the book “Praktisk mjukvarutestning” which is a book on Software Testing in Practice. 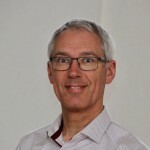 Rik Marselis is a test expert at Sogeti. He worked with many organizations and people to improve their testing practices and skills. Rik contributed to 19 books on quality and testing. His latest book is “Testing in the digital age; AI makes the difference” about testing OF and testing WITH intelligent machines. Oi , Não! Não substituirá! Este pensamento deveria fazer lembrar da época em que trabalhadores em geral temiam perder empregos para “computadores”!, ou quando em TI, prestadores mesmo temeram perder empregos para automatizações !!! Por agora poderia elencar uma serie de atividades que ainda garantes testers, mas vou me limitar a uma só… a PROPRIA AI , TEM DE SER TESTADA !!! Na Testfort por exemplo temos testes com e de AI. Otimo artigo! Abrcs. Walter Melo.